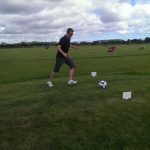 Come and try the latest craze sweeping the nation on the challenging 9-hole FootGolf course. Tee off for a round of golf on our picturesque course. 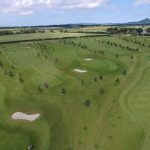 Built to the highest standard the fairways and greens are suitable for beginners right through to established golfers. 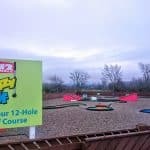 Twelve holes of fun and enjoyment for all of the family. Will it be a hole in one on the Volcano? or a frustrating eight on the Terminal? 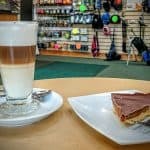 This very popular coffee shop is set in lovely surroundings at the foot of the Cleveland Hills and is the perfect place for a snack, lunch or coffee and homemade cake. 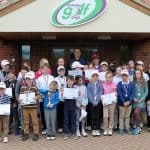 Our resident professional James Atthey runs the Golf Academy which caters for total beginners through to the most experienced players, juniors to seniors, in a relaxed friendly environment. 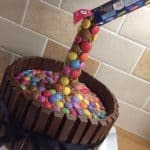 At Stokesley Golf Range we offer parties to suit all ages and abilities from 6 years upwards. 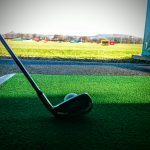 Come and give it a go 1-Hour £5 member /£7 non-member (not including range balls). 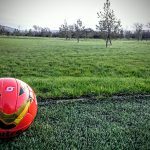 Will you be top of the leaderboard?